Donna Andersen learned about love fraud the hard way — by living it. Now, as a speaker to college and high school students, she explains the warning signs so they can spot abusive relationships before too much damage is done. Donna is author of Lovefraud.com and the new book, Red Flags of Love Fraud—10 signs you’re dating a sociopath. She defines “love fraud” as “intentional exploitation through manipulating emotions in a personal relationship.” She says the people who engage in love fraud are sociopaths. No, sociopaths are not all deranged serial killers. Rather, they are social predators who live their lives by exploiting people. Usually sociopaths begin their deception and manipulation during the high school and college years — and never stop. Romantic involvements with these disordered individuals are characterized by emotional, psychological, verbal, physical, sexual and/or financial abuse. Millions of these exploiters live among us. They are male, female, all races, all religions, work in all professions and live in all communities. That’s why it’s so important for students to learn about these social predators — they are everywhere. The good news is that love fraud relationships are totally preventable — if students know the red flags. These abusers all operate out of the same playbook. When pursuing romantic relationships, which are actually abusive relationships, they use the same tactics and the same strategies. With this presentation, Donna Andersen gives college and high school students the playbook. 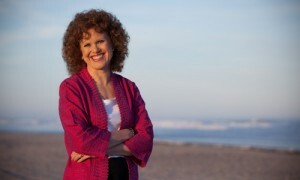 Donna’s research found that people who get involved with sociopaths at a young age suffer much more than those who meet these social predators later in life. They are much more likely to experience physical abuse, have their lives threatened, and consider or attempt suicide because of the involvements than those who meet sociopaths later in life. A law student fell for a man she met via Facebook after he sent her bouquets five days straight. They became a “couple,” although the entire relationship was over the phone and social media — they never met in person. When she tried to break off the relationship, he threatened to kill himself. Then the man “died” and his “lawyer” called to say he had left everything to the young woman. She was so upset that she overdosed — only to learn that the man was still alive. A young man serving in the U.S. Marine Corps jumped at the chance to have a relationship with an extremely attractive girl — even though his friends warned him that she was evil. The woman gained the marine’s trust and love — and then cheated on him. He tried to break it off, she said she really loved him, and he forgave her. This became a pattern — cheat, forgive, repeat. To escape the woman, the marine volunteered to go to Iraq. Just as he was about to deploy, a woman he’d known for years, whom he considered a “little sister,” confessed that she truly loved him. But the marine was going off to war — perhaps never to return. For more stories, read the Targeted Teens and 20s section of Lovefraud. Donna Andersen describes what sociopaths really are — it’s not necessarily what Hollywood and the media portray. She explains that sociopaths engage in calculated seduction, and the tactics that they use. And she tells college and high school students the three steps to protect themselves from these abusive relationships. Based on her own experience and the thousands of cases she’s collected, Donna reveals how people get hooked into these involvements and how to get out of them. Dr. Liane Leedom, a psychiatrist who also knows about sociopathic relationships first-hand, consulted on the material. What is a sociopath? How many are there? By arming college and high school students with information, they will be able to recognize the warning signs of an exploiter and avoid interactions that could irrevocably damage their lives. Students who have experienced the Lovefraud presentation recognize that learning about sociopaths relates directly to their lives. 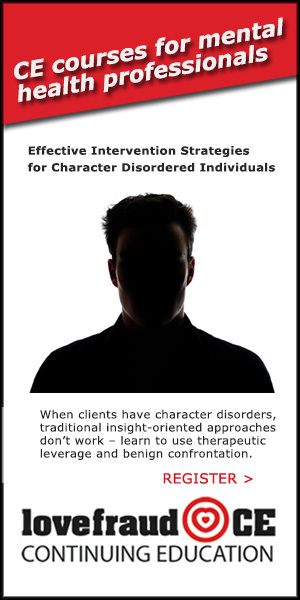 In fact, generally a few students in each session, upon hearing the description of the disorder, realize that they already dealing with a sociopath. When this happens, students may turn to staff or their guidance counselors for advice. But many counselors, like the rest of us, do not have a good understanding of the sociopathic personality disorder and how it may affect students. 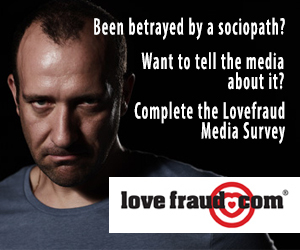 Therefore, Lovefraud also offers a targeted program, Sociopathy Awareness for Staff and Counselors. Lovefraud provides certificates for one hour of professional development training to all participants in this program. Love Fraud and How to Avoid It is appropriate for college and high school students. The length of the program is flexible to meet your school’s scheduling requirements. 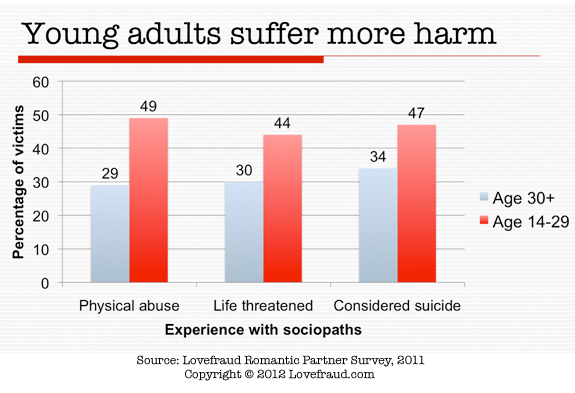 Lovefraud also offers a professional development program, Sociopathy Awareness for Staff and Counselors. To book a presentation, contact Terry Kelly at terry@lovefraud.com, or call 609-945-1384 (Eastern time).